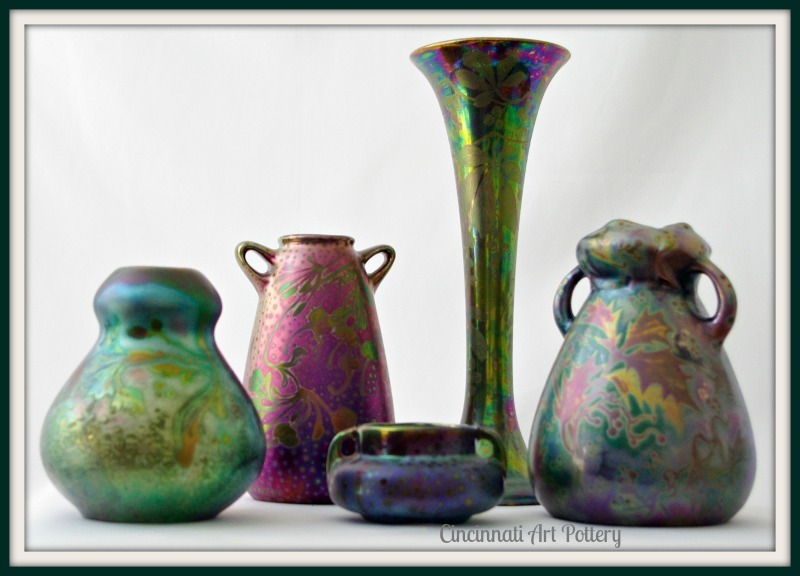 Sicard metallic luster vases were created by Weller artist Jacques Sicard 1903 to 1907. The metallic luster techniques from the French studio of Massier were used by Sicard along with two years of artistic and chemical development at a private location within Weller for two years. The artistic result was a rival to Tiffany Studios glassware in the form of pottery. 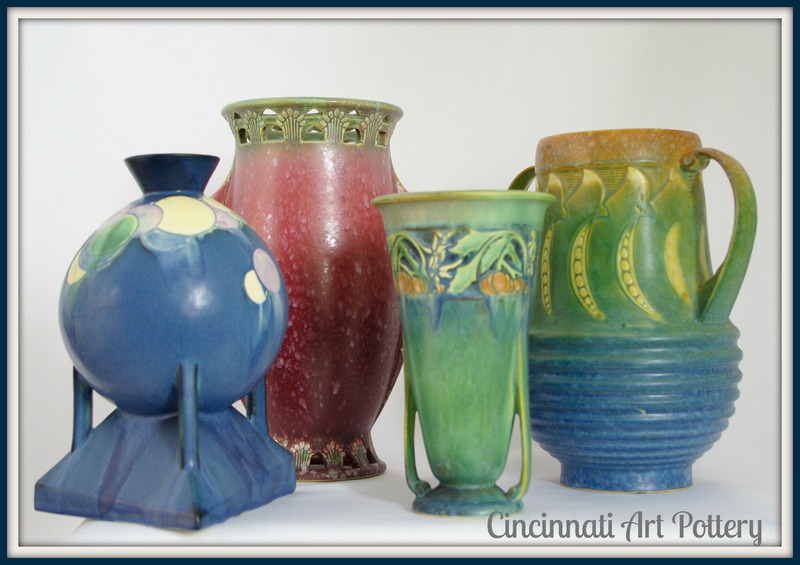 The Rookwood pottery, founded in 1880 in Cincinnati, Ohio created decorated and commercial pottery until 1967. The 87 years of Rookwood saw two world wars along with the Stock Market crash of 1929 and the Depression. Our Rookwood focus is primarily on the high level of creativity of the 1920s when production was at it highest level with constant technology development along with the very best in local artists decoratimg each item. 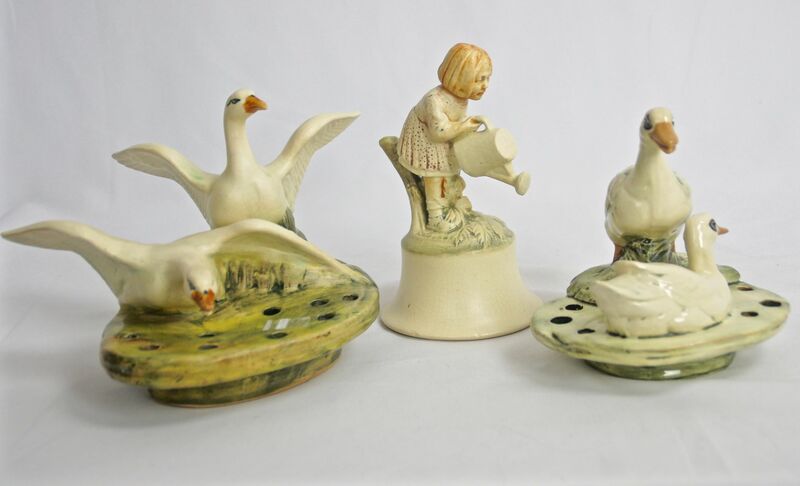 We offer the very best in special hand painting along with highest technical level of pottery making. 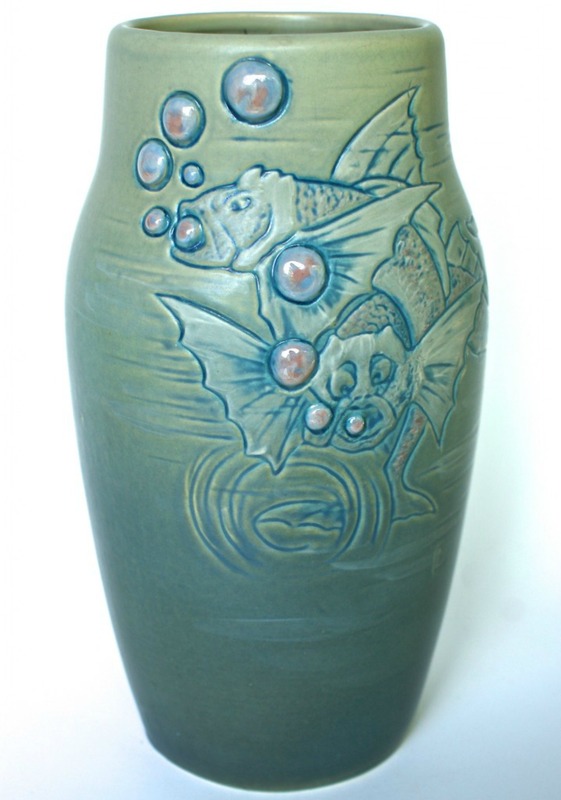 A truly breath-taking period in American art pottery to never be duplicated. We share our Rookwood discoveries with you. 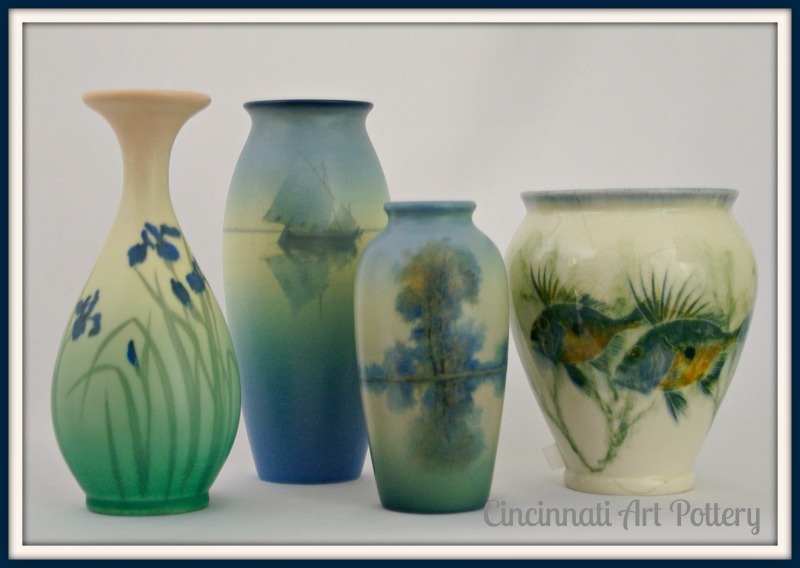 Weller Pottery started as a small business in Northern Ohio in 1872. 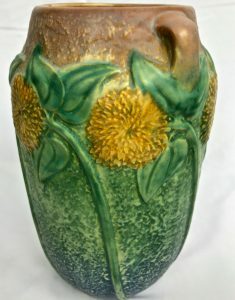 In the 1880’s Weller moved to Zanesville, Ohio – eventually becoming one of American’s largest manufacturer of mass produced artware and art pottery. The Weller company embraced and developed technical advancements in glazes and decoration filling a home decorating niche. 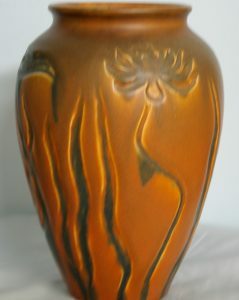 The designs reflected many decorative style changes thoughout its history. Weller created an endless number of forms, hand painted images and decorative treatments, available in a wide rage of shapes including vases, wall pockets, pedestals, jardinieres and figures. A wide variety of glazes were developed to create a special appearance as America went through many changing art movements leading to WWII and the end of the company in 1948. Roseville Pottery, founded in early 1890, was the artistic decorating choice for American homes. in the 1900s Roseville designs of Pinecone, Blackberry, Futura, Vista, Carnelian II, Ferrella, Windsor, Sunflower, Baneda and Moss are cherished in modern homes today and available from CAP. We are happy to answer questions. Please contact us If you don’t see what you are looking for. We have an extensive collection and may have or have access your heart’s desire. We buy select pottery and collections. Insert Text Here to contact me. Enter Image above to send email. 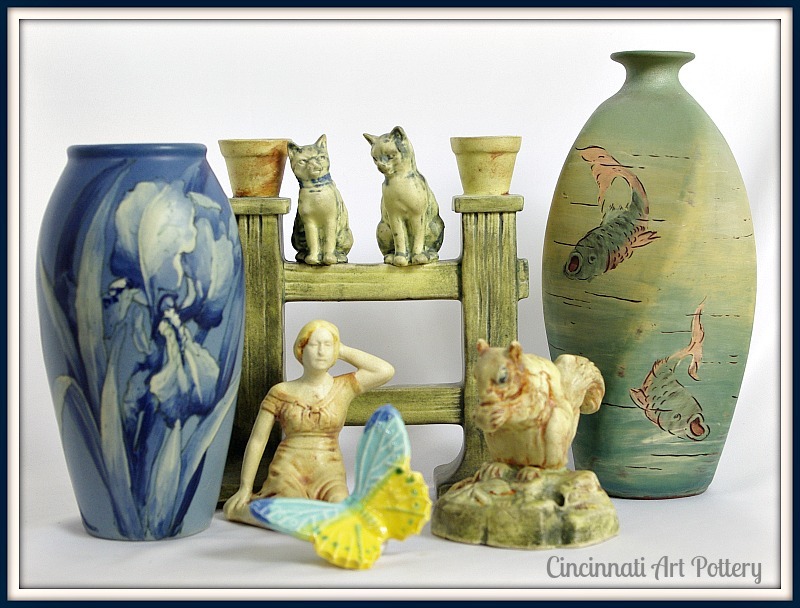 Website managed and maintained by H&A Partners, DBA Cincinnati Art Pottery. All photographs, text, descriptions and written material are they sole property of H&A Partners and may not be copied, downloaded or used without written consent.